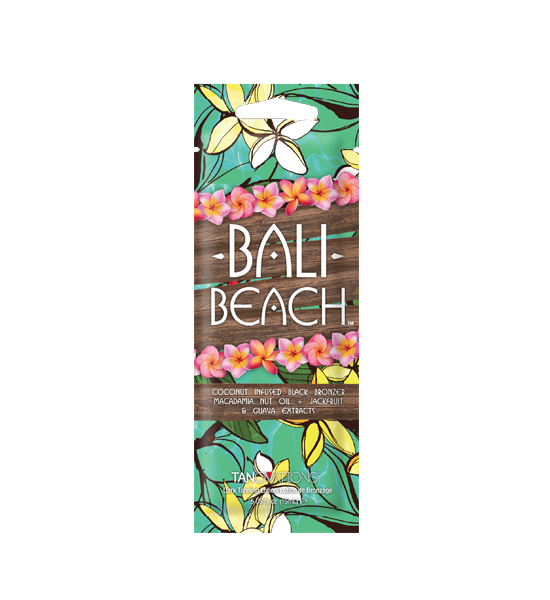 Bali Beach™ is your tropical 10-minute vacation to paradise! Lay back, relax and daydream o beach tides and good vibes! This fruit and nut enhanced, double dark stimulating bronzer will give you straight from the island color after every session. If you have sunshine on the mind then take a Bali break and don’t worry, beach happy! • Super dark DHA bronzers impart instant and delayed bronzing results to the skin for that “off the beach” color. • Macadamia Nut & Coconut Oils – Nourish, soften, and replenish skin for extreme moisture. • Jackfruit & Guava Extracts – Rich in antioxidants that help reduce the appearance of fine lines and wrinkles while providing a glowing complexion.